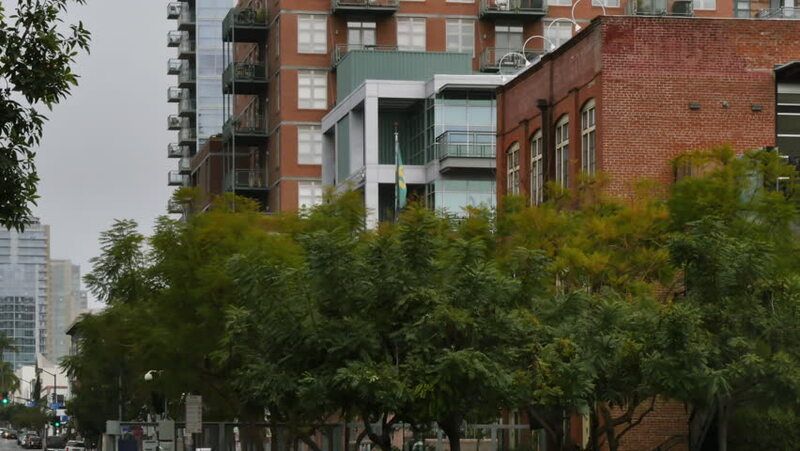 An overcast establishing shot of residential apartment buildings in San Diego. 4k00:13Overgrown house in the forest. Autumn daytime. Smooth dolly shot.